Consider taking magnesium for insomnia and for many other health reasons. It is an all natural sleep aid that has made a difference in my ability to sleep. Even as I struggled for months and on and off for years to get good sleep, the one thing I decided was that I would not turn to any prescription drugs. It seems that most health experts agree that the vast majority of people are deficient in this mineral. Rarely will there be one thing you do or don't do that will impact your sleep. Rather it will be a combination of several lifestyle and diet choices. Magnesium is an essential mineral and there are thousands of research papers that document the impact magnesium has on many of our physiological processes. However, we are getting less and less of it from our food. Carolyn Dean writes in her book, The Magnesium Miracle that "There has been a gradual decline of dietary magnesium in the United States from a high of 500 mg/day at the turn of the century to barely 175-225 mg/day today." I had just been evaluated by a naturalpath - my first visit to one - to see if I could get some help with why I wasn't able to fall asleep or stay asleep. After the evaluation, I was instructed to come back after some test results were in. Disappointed that I wasn't leaving with any answers and having to wait yet another couple of weeks for help, my eyes spotted a box of free supplement samples at the checkout desk. They were small little packets called Calm. When I asked what they were, I was told oh, just some magnesium. Well, "just some magnesium" may be "just what you need" to help you sleep. 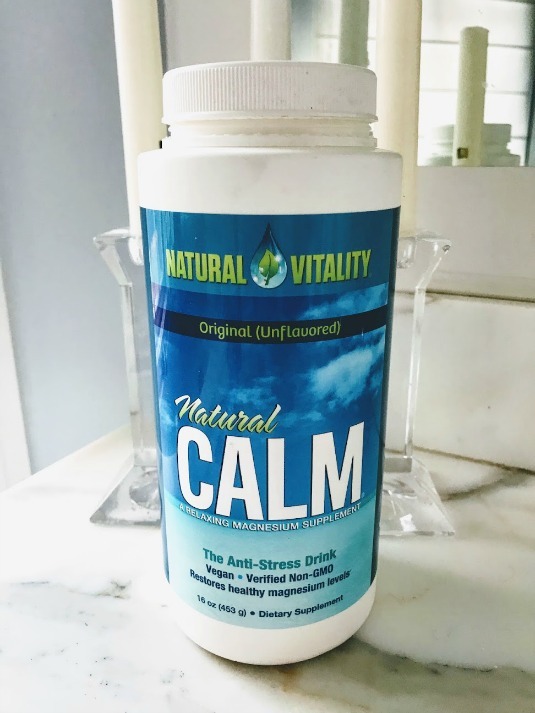 I started taking Natural Magnesium Calm that day and have continued to supplement with it everyday. It's best to take small amounts a couple of times a day. 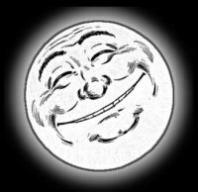 Mix the magnesium powder with hot water and drink it like tea. If you take too much at one time you can get diarrhea which depletes magnesium even more than normal. I prefer the natural one over any of the flavored ones. I accidentally bought the raspberry flavored one and could barely get it down. Of course I've done many other lifestyle changes to help me sleep better, but supplementing with magnesium has had a noticeable impact in my ability to relax. When I'm traveling I get these handy magnesium packets and put a packet in my water in the morning and again in the evening. Dr. Sandra Cabot MBBS, DRCOG is a medical doctor who has extensive clinical experience in holistic medicine. She has authored several books two of them are Magnesium: The Miracle Mineral and Tire of Not Sleeping. She writes that "large numbers of adults and children are magnesium deficient" and that many doctors are not trained to recognize the symptoms of magnesium deficiency or understand lab testing for magnesium levels. 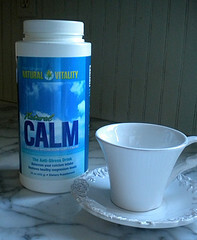 Dr. Cabot explains that our bodies use up magnesium very quickly when we are stressed. Insomnia or poor sleep reduces it even more as does many different drugs and medications. 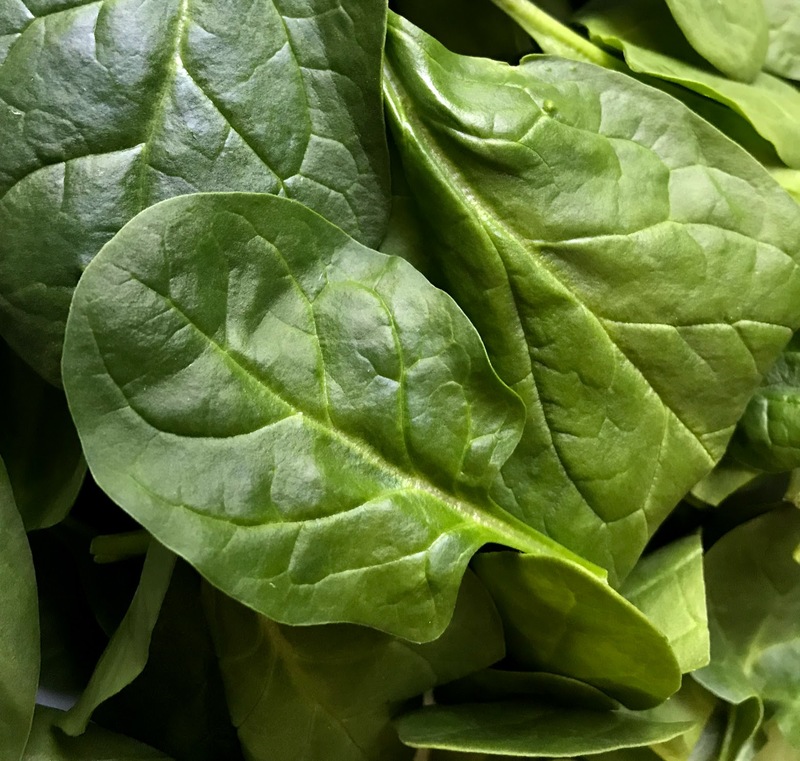 Today's American soil is depleted of magnesium which means that plants are unable to absorb this essential mineral and thus results in produce that is mineral deficient. The processing and refining of foods also leads to loss of magnesium. Dr. Mark Sircus opened my eyes to getting more magnesium through the skin. It is difficult to get enough magnesium through supplements as it can cause loose stools and diarrhea. 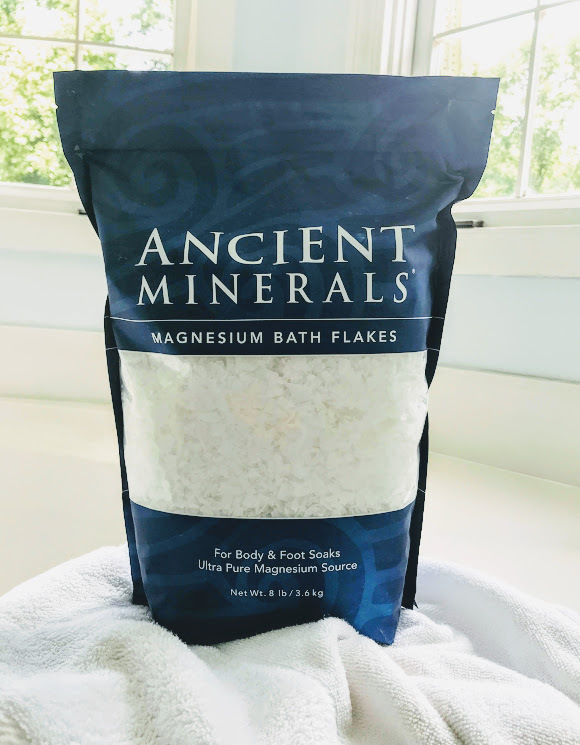 So one way to get enough of this mineral without any GI side effects is through absorbing it - via lotions, sprays and in the bath with magnesium flakes. I use all of these different avenues at different times. It helps to relax muscles, prevent leg cramps and reduces the symptoms of Restless Leg. There are many ways to supplement with magnesium for insomnia. The author of Transdermal Magnesium Therapy:A New Modality for the Maintenance of Health believes that many people don't absorb magnesium well when taken as a supplement. Dr. Sircus recommends different ways of getting magnesium through the skin via magnesium oils and lotions. 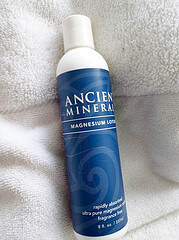 He recommends the Ancient Minerals brand which is the one I use. There are lots of different ways of using this spray - some people spray their arms, legs, and torso and let it sit for about 20" - which is the recommended time for maximum absorption. Then take a shower and wash it off. The spray can initially sting a little and then feels kind of itchy. I spray it on the bottom of my feet and do a foot massage before bedtime. Another way of getting your magnesium transdermally or through the skin is through either a foot soak or a warm bath. My sister has taken baths before bed for years to help her relax and sleep better. I finally took her advice - well, I kind of had too as our bathroom was being remodeled and the shower wasn't available. But, once the new shower was in, I've stuck with a bedtime routine of a warm bath using magnesium chloride flakes, a little oil of lavender and some tablets that remove the chlorine in the bath water. I put about a cup of flakes in the tub just as I am starting the water. They quickly dissolve. Try to soak for about 20" for the best magnesium absorption. It really relaxes and calms me so much so that I've found that I've almost dropped my book into the bath several times as my head has nodded off. The eight pound bag is more economical than the one pound packages - but there is a 32 lb bag that offers the best price. What I like about the magnesium lotion, is that I can apply it at night and do not have to wash it off - like one does with the spray. If I don't take a warm bath with magnesium flakes before bed, I use the lotion. Rub it on your skin anywhere - but if you have any muscle aches or pains, rub it there to help relax the muscle and diminish any discomfort. There is no scent to the lotion. Some people like it that way - but I like to add a couple of drops of lavender oil - since this essential oil is known for its relaxing properties. It feels good and seems to help me wind down at night. I have tried more economical brands but I keep going back to the Ancient Minerals. This is the brand recommended by Dr. Marc Sircus the author of Transdermal Magnesium Therapy:A New Modality for the Maintenance of Health. 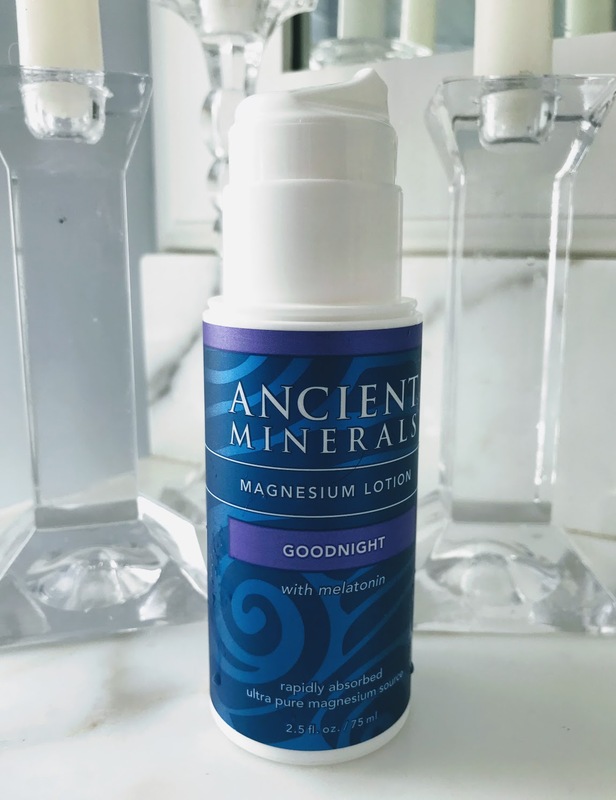 Combine the benefits of melatonin and magnesium with Ancient Minerals Goodnight Lotion. The lotion also hydrates your skin using certified organic oils along with coconut oil and shea butter. Apply to inner thighs or abdomen at bedtime. One mL provides 3 mg of melatonin and 25 mg elemental magnesium. You can also apply the lotion to sore muscles or for muscle cramps. 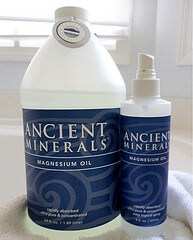 Magnesium oil can be applied to the skin via a spray. 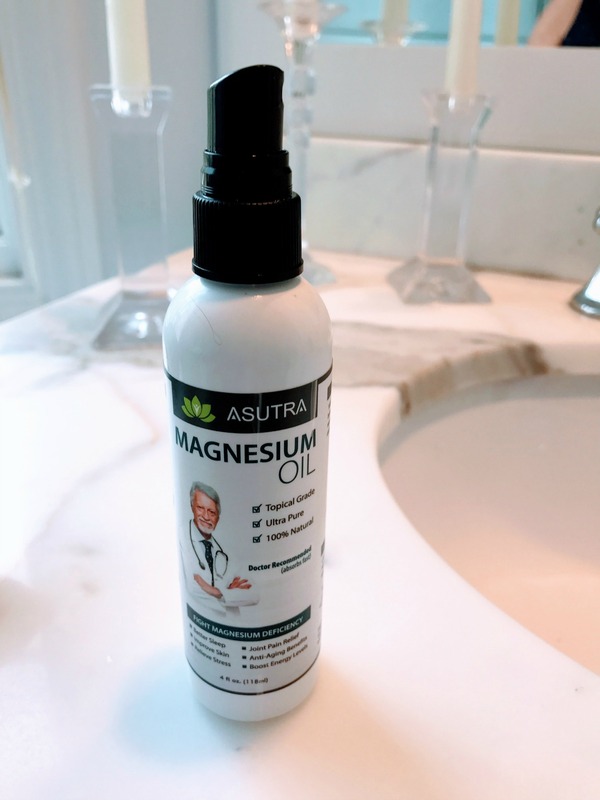 This magnesium oil spray is concentrated and pure but it's also filtered to help reduce itchiness or stinging when applied. When you first start using a magnesium spray you may experience this but the effects will subside after consistent use. Where do you spray the oil? I usually spray once or twice to the bottom of my feet at bedtime. Other ways to use the spray is to spray it wherever you have sore muscles, joint pain or leg cramps. Just spray and then rub it in. Dr. Cabot calls magnesium the "great relaxer." As someone who has become rather hyper, my ear's perk up when I hear the word "relax." Magnesium can also help those with restless leg syndrome and muscle cramps. Other uses of magnesium in the medical world are for arrhythmias, high blood pressure and angina. The National Institute of Health, Office of Dietary Supplements states: "Magnesium is needed for more than 300 biochemical reactions in the body. It helps maintain normal muscle and nerve function, keeps heart rhythm steady, supports a healthy immune system, and keeps bones strong. Magnesium also helps regulate blood sugar levels, promotes normal blood pressure, and is known to be involved in energy metabolism and protein synthesis." 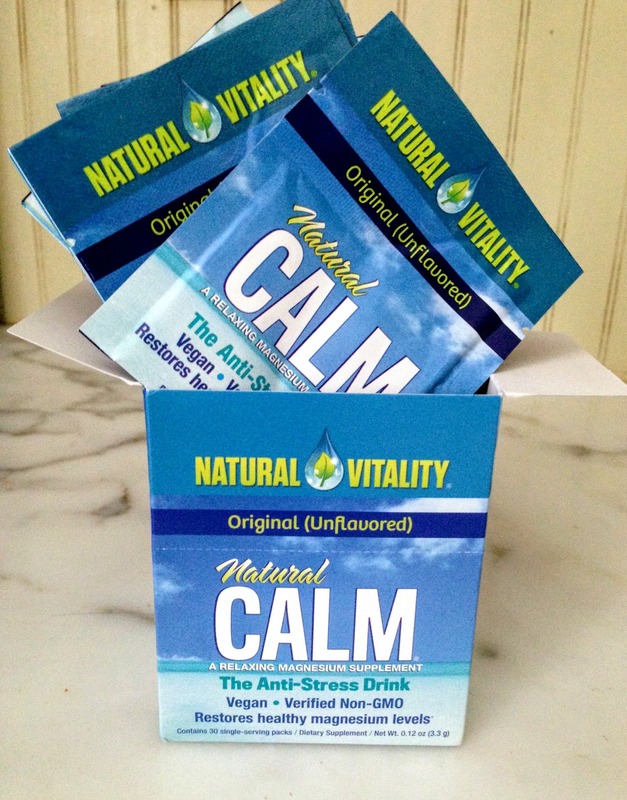 Judy Phillips, a Master Herbalist, calls it the "anti-stress mineral and a natural tranquilizer." One way it is believed to help improve sleep is by decreasing the release of cortisol, which is a known sleep disrupter. Normally organic foods are better sources of nutrient rich produce. Also cooking food can further deplete any magnesium in your vegetables, so to get the most magnesium for insomnia benefit eat your foods raw or lightly steamed. 4. Raw, cold processed cocoa powder - my favorite :) But don't eat it in the evening as it is a stimulant and keep you awake. I only eat it or make a drink with it in the morning. Foods that have little to no magnesium are foods made of white flour - like white bread, muffins, waffles or pancakes made of white flour. Make it a daily practice to take magnesium for insomnia and for the many other health benefits this important mineral has to offer. 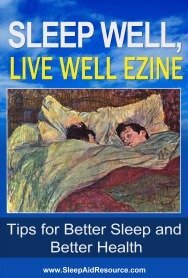 Go from Magnesium for Insomnia to Sleep Aid Resource Homepage.